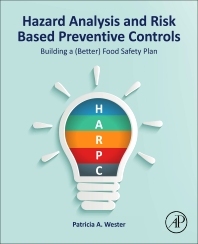 Hazard Analysis and Risk Based Preventive Controls: Building a (Better) Food Safety Plan is directed to those food safety professionals charged with ensuring or assisting with FSMA’s preventative controls (PC) implementation and compliance in their routine job duties. The target audience includes those currently involved in the development, management, and execution of HACCP and/or other advanced food safety management systems, as well as those interested in advancing their knowledge base to gain a more thorough comprehension of HARPC requirements. FSMA topics covered include: identifying the food safety team and PCQI; creating the HARPC implementation strategy; starting the food safety plan; conducting a thorough hazard analysis; identifying adequate preventive control measures; determining appropriate PC management components; recognizing applicable verification and validation activities; supply chain management program; recall plans. Other operational topics include: document control systems; internal audit programs; third party audit management; regulatory visit preparation; and maintaining compliance.